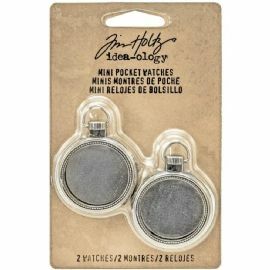 Tim Holtz Idea Ology Mini Pocket Watch Frames: Antique Nickel. These small dimensional pocket watch lockets can be used as a jewelry statement piece! 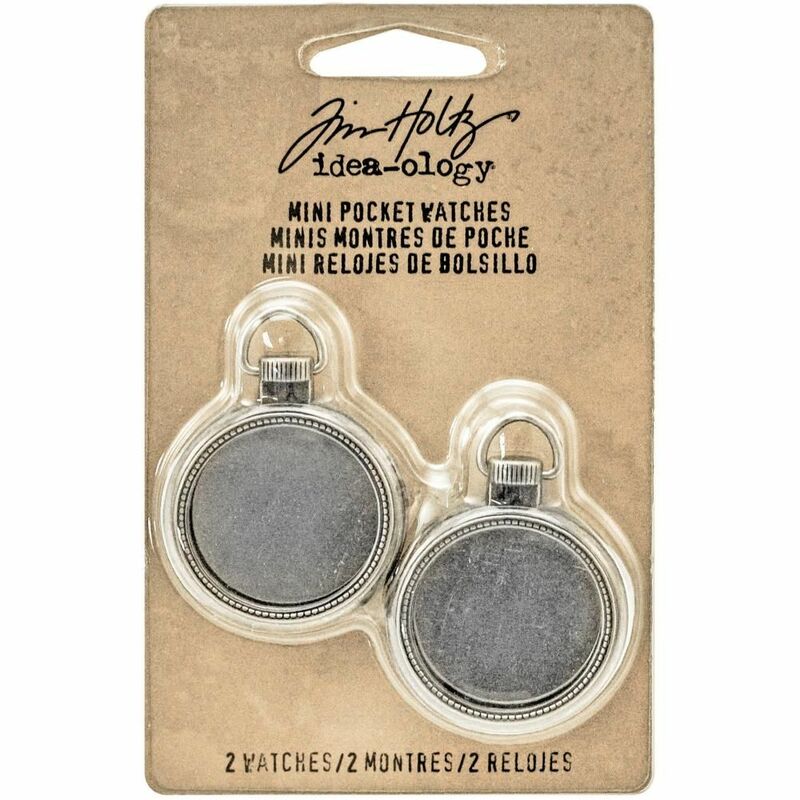 This package contains two 1 inch round pocket watch frames.